~5 month supply. 6 oz. THIS ALL-IN-ONE CLEANSER DISSOLVES IMPURITIES, MAKE-UP AND EXCESS OIL... without detergents. 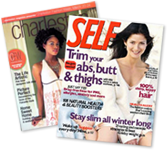 Smoothes and tones without stripping skin. Most skin cleansers and soap contain harsh detergents that can strip the protective acid mantle of skin, leaving skin imbalanced, irritated, and dull-looking. Contains French Lavender Oil which is known to tone, calm and help to regulate sebum production. Natural antibacterials effectively help to remove bacteria. Triple antioxidant potency of Vitamin E, Echinacea and Rose Hips restores skin balance and gives anti-aging protection. Gentle enough to be used post cosmetic surgery. FOR COMBINATION / T-ZONE SKIN: Cleanse AM and PM. On dampened skin, wash full face once, wash twice on T-zone at night to remove excess oil and trapped dirt. Rinse thoroughly. Use dampened wash cloth after cleansing to polish skin on oily areas. As skin gets balanced, the double washing may be decreased. FOR NORMAL SKIN: Cleanse AM and PM. FOR DRY SKIN: Cleanse AM and PM. For really dry skin, cleanse only at night. Just splash with water in AM and apply VITAPURE Serum. TIP: Always apply the cleanser to dampened skin and always massage in a circular motion. Worldwide Spa Review says: “PRIMESSE Cleanser, for all its gentleness, goes deep; much more came off my face than a simple cleansing normally provides... doesn't leave the face feeling raw or unprotected—the balance is still there and the action." Soaps are made from harsh detergents that can strip and damage skin. Soaps are made from surfactants which are harsh detergents— they can strip and damage skin of its natural moisture barrier, making skin dry, raw and flaky. They tend to remain on the skin after rinsing—and can cause a water loss from the skin’s surface. Repeated usage leads to increased water loss. Soap is soap is soap— no matter how it is marketed. PRIMESSE Cleanser is soap-free, detergent free and contains a vegetable "degreaser" that effectively removes dirt and excess oil. Rinse with lots of water. PRIMESSE has natural antibacterials that effectively removes bacteria and does not contain a "stripping agent". Liquid cleansers are usually made of harsh detergents. The most common ingredient in cleansers is Sodium Lauryl Sulfate or Sodium Laureth Sulfate, the same ingredients used to degrease engines and to clean floors. Used for its foaming action, they can cause skin irritations in many people as well allergic reactions. 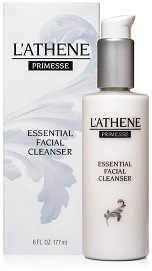 PRIMESSE Cleanser gently, yet effectively removes the dead skin cells and dissolves deep down impurities, while preserving the skin's natural moisture barriers. For removal of clogged oil and to minimize enlarged pores, use CLARIFIQUE Purifying Clay Mask in conjunction with PRIMESSE. Toner can be a leading cause of dryness and skin dehydration. Originally designed to remove oil, petroleum and surfactants left on skin after cleansing, now most toners contain alcohols and harsh drying agents. They can strip and disrupt the skin's acid mantle which can cause dryness and itching. They do not help to deeply cleanse pores and remove the dead cells and thick, clogged/trapped oil. PRIMESSE Cleanser is acidic, just like your skin, and will not strip the skin. PRIMESSE is a natural toner and uses French lavender essential oil, known for natural skin toning properties, to help regulate sebum production and soothing inflamed skin. Proper cleansing is a critical step in caring for anti-aging skin. Choosing non-detergent cleansing removes dirt, make-up, excess oil and dead surface cells from the skin while avoiding harshness or irritation. Skin feels smooth and supple. Proper cleansing prepares the skin for the next step of absorbing VITAPURE serum. If dirt or oil is left on the skin’s surface, it can lead to clogged pores. Scrubbing firmly and using excessive pressure on the skin during cleansing increases the likelihood of irritation, broken capillaries and stretching of the skin.